Christmas and Hanukkah are approaching quickly, but you still have time to prepare! You can show support for the community and some state pride with these gifts that are available with quick shipping. In 2016, Kwame Alexander also released this adorable picture book for younger readers. These scented candles are made in a home studio in Northern Virginia. This gorgeous book was written by popular Great Falls interior designer and blogger Lauren Liess. This bamboo cutting board shows off your state pride along with your gouda. This remarkable book released in 2016 by Kristina S. Alcorn is a biography of Bob Simon, told through his own stories and photos. Consider a gift of an experience rather than more stuff. Bow Tie Cinemas is the movie theater located at Reston Town Center. Margaritas and chocolate piñatas are the gifts that keep on giving. Your loved one can enjoy a winter night with a cozy fire, hot chocolate, one of Reston’s most horrifying true tales, and some Purell. 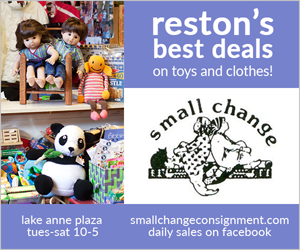 If you enjoy what we do here at Modern Reston, please consider shopping with these affiliate links (at no extra cost to you.) We appreciate your support!